Roll into a world full of happy, colourful creatures called LocoRoco – where you’re their only hope. In this brilliant PS4 remake of the classic PSP puzzle platformer, it’s up to you to stop the evil Moja Corps from taking over the planet. Fight back by using easy-to-learn tilting controls to get your LocoRoco moving, then eat, grow and bounce through fantastical environments alive with billowing flowers, lively creatures and pastel scenery. Use six different types of loveable LocoRoco to fluidly morph their way through over 40 levels of slippery slopes, teetering platforms and maze-like passages. Stay round to roll, become slim to squeeze through narrow passages and disassemble into smaller LocoRoco to collectively pass through small crevasses and paths. Eat to increase the size and quantity of LocoRoco and to gain access to secret areas and hidden rewards. Fancy a different kind of challenge? Try your hand at the mini-games Chuppa Chuppa and Mui Mui Crane, or create your own Loco House from items found in the game. 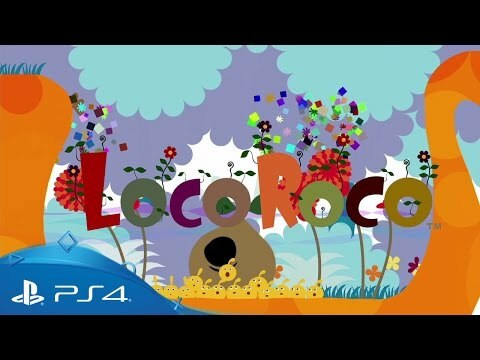 Download LocoRoco Remastered on PS4.